President Mr. Silanyo addressed various issues spelt out in his administration in regard to the Somali draft constitution, peace building in the East, and local councils. The government is going to crack hard on anybody who engages in activities that might be detrimental to the Republic of Somaliland. This was informed by the president H.E. Ahmed Mahmoud Silanyo during a live address to the nation on the eve of EID Ul-Fitr that was transmitted live by the national TV channel. Said he, "Anyone caught acting contrary to the constitution of Somaliland which is a treasonable offence will be face the full wrath of law without fear or favour". During the address to the nation on the eve of EID Ul-Fitr that was made without notes President dwelt on various issues that clearly spelt out the direction his administration has prioritized for action in the now and near future as related to strict anti-graft within local governments especially to the run up to November elections, Enhancement of Judicial services, Peace building in the eastern regions, on hold internationally sanctioned talks with Somalia and how Somaliland perceives the Somalia draft constitution. 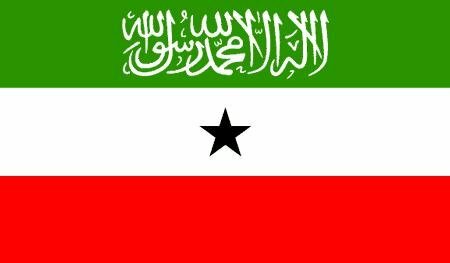 On the Somalia draft constitution that refers to Somaliland as part and parcel of the failed state the president who wished the southerners success in their government making efforts also reminded them that the sovereignty of Somaliland that is as per the wants of 97% of Somalilanders is a foregone conclusion thus unworthy of negotiations or notions of negotiations. "We hereby reiterate our irrevocable sovereignty and declare that Somaliland will never accept the Draft Somali constitution that puts claim to my people and country" warned the president while further informing that "The sovereignty of Somaliland is as a result of its citizens who upon suffering a lot during the fateful union with Somalia not only rose up in arms thus reclaim their self-determination but overwhelming voted for their national constitution, government and the two houses of parliament which are the institutions that define Somaliland"
While informing that the whole world was witness to his country's fulfillment of all prerequisites for recognition as a sovereign nation, the head of state urged the international community to stop ignoring the wishes of his people by turning a deaf ear to their pleas for acceptance as an independent nation and thence member of the organization of United Nations. Said he, "I hereby inform our brothers in the south and the international community that Somaliland is a sovereign country whose autonomy came after a lengthily and costly struggle by its citizens who are neither ready, nor prepared for less’’. President Silanyo who pledge to uphold his oath of office thus fully protect the constitution warned those intent on perpetrating activities detrimental to the Republic of Somaliland that such acts are treasonable and the full wrath of the law will be meted without fear or favour. The president, who informed that the government and people of Somaliland are committed to the internationally sanctioned talks with Somalia, attributed his government's suspension of talks to prevailing procedures that are related to the replacement of the Somalia Transitional Federal Government whose mandate has expired. In reference to the on-going implementation of a peaceful reconciliation agreement in Buhodle and Sool regions president Silanyo said Somalilanders are one big family that is inter-twinned by filial relations that extend generations. "Peace which is the central pillar of Somaliland's statehood is achieved by Reconciling differences through talks not through armed confrontations that only exacerbate matters thus building a mountain where only an ant hill only existed". While commending the Hagaltosie group for their boldness in accepting his call peaceful reconciliation as opposed to armed confrontations, President Silanyo urged Somalilanders to never sway from their now enshrined reconciliation procedures that have with the grace of Allah made the country a haven of peace in one of the most dangerous regions on earth. Said he, "My brothers and sisters our country which will never shift an inch and whose inhabitants inter-related is sufficient for all of us if we unite thus manage our affairs as a team that reconciles differences and grievances peacefully". According to the head of state urgent action is to be taken in order to alleviate difficulties encountered by citizens whose cries for help will be replaced by provision just and timely legal services countrywide. Said he, "It is incumbent upon my office and person to ensure that the trust of citizens who overwhelming voted me into the presidency is repaid through provision of apt public services that are not favour but constitutional rights"
The president pledged to ensure that no stones are left in pursuit of rectifying all anomalies that existing thus encumbers citizens within the judiciary nationwide which is incidentally the central pillar of public administration and main conduit of trust between the governors and governed. He revealed that his administration's desire to ensure Somalilanders are availed just and timely legal services in the courts of laws is discernible through his establishment of the Judicial and Human rights commissions within 100 days of assuming office. President Silanyo who informed that he has heard his people's cries for help said, "I hereby promise you, that necessary changes will be affected soon within the judicial commission and prosecutor general's office, as well as the court of appeal, the High and regional courts nationwide in order to weed out the chaff’’. While informing that only righteous Judicial officers will be retained in service, the head of state warned that the same laws they utilize to uphold justice will be used on any caught transgressing in provision of impartial judgment. On the performance of local councils that have overstayed their tenure president Silanyo ordered the interior minister to issue a circular limiting the ceiling of funds allowed outgoing councils from now till Election Day on the 28th November 2012 thus deter the misappropriation of the said public funds for personal use. "I order the minister of interior to ensure that the outgoing local councils act within limits until after elections when they hand over as per the dictates of law." In conclusion the president asked Somalilanders to participate fully in forthcoming local council elections, thus, elect appropriate local leaders dedicated to public service and not personal gain.